Hello there! I’ve been dying to post a blog, or two, or 13 – yes, I have 13 I want to post but life has been so insane and wonderful and crazy, I’m just enjoying the ride and trying to hold on. Every once in a while I stop to eat food but that’s the lesser of the excitement going on. So here’s just a few of my favorite, and not so favorite, things over the past few weeks. 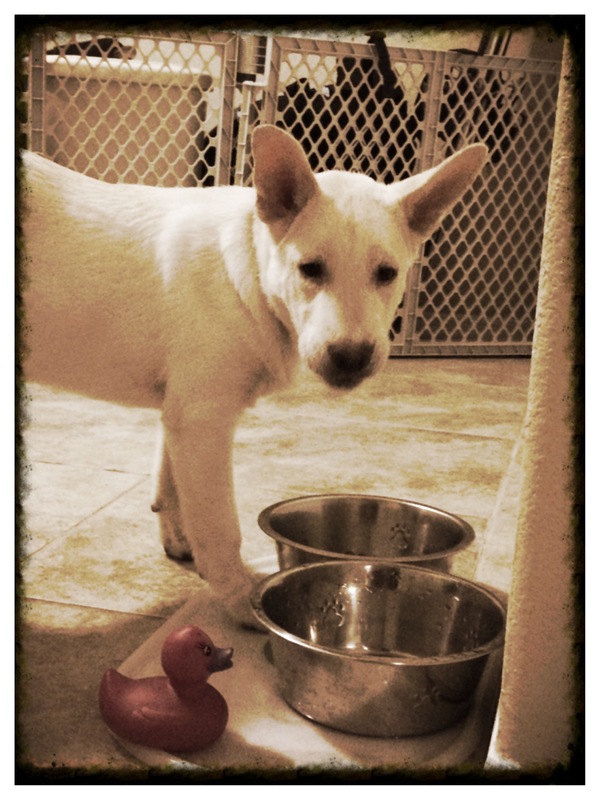 #1 – The Dog Interview: I love my new puppy, Emmie!! She is a husky lab (or for those techy people Siberian Retriever) mix. 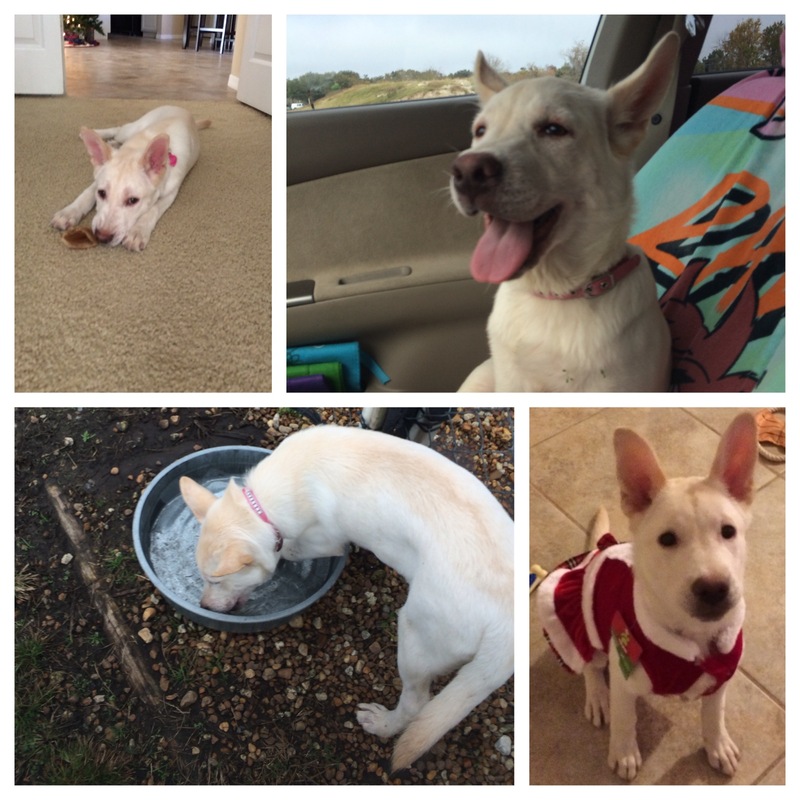 I adopted her on Sunday, October 13, 2013 from Wags and Whiskers Pet Rescue. I felt like I was asked more questions in that “interview” than in my job interview (I’m telling you, my life has been crazy!). In all honestly, I would have told them my whole life story to adopt this princess. And boy is she a princess. Her toys take over the house and she has her own room. She has 3 collars and 2 leashes – all pink and one has jewels. We’ve gone on many adventures in the past 2 months including trips to the dog park and puppy play dates with friends. She LOVES water, and treats and tennis balls. HATES baths, people wearing hats and the vacuum. I decided if I’m eating healthy, my dog should eat healthy too. 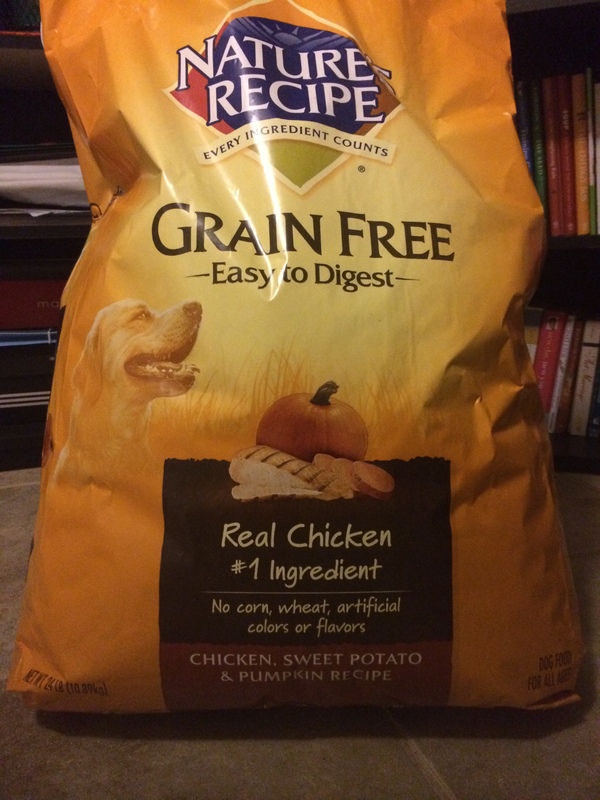 Giving her the best chance to be the healthiest dog, I sprung for a 4 star dog food… Nature’s Recipe Grain Free – Chicken, sweet potato and pumpkin – tis the season, right?! Dog Food Advisor was my source for what’s the one of the best and I went with one of the first ones I found at Petsmart. Dog Food Advisor says there are 5 start dog foods out there, but 4 stars are good too. This was my Black Friday purchase – seriously – see I told you this dog rules my life…. Petsmart was having a Black Friday sale for $15 off this 24lb bag. Plus there was a $4 manufacturer’s coupon so that took $19 off the original price of $47… what a steal!!! With such a great deal, I had to buy 2 bags… so I did. Merry Christmas Emmie, Black Friday will never be the same again! Looking at the ingredients of this dog food makes me think that my dog just may be eating better than me some days… however that doesn’t stop her from eating everything within her mouth’s reach. I went to the vet earlier today to get her something for a possible worm she may have from digesting a parasite… currently she is running like a crazy monkey through the house and pacing back and forth. I think that medicine has the same effect as digested frogs do when she manages to capture one… Just sayin’. #2 – The Job Interview – Guess what?! I got a new job! I started my new job October 28th. I’m the newest Financial Analysts for Allstate Benefits (yes, the you’re in good hands people)! I am so blessed to have such a wonderful job and amazing supervisors and co-workers. The past month and a half flew by and I’ve learned so much. This was definitely a career shift for me and it came at no better time than me reading Sheryl Sanberg’s book Lean In. Chapter 4 talks about “It’s a Jungle Gym, Not a Ladder” and discusses how times have changed and careers aren’t one way up ladders anymore but you have to play in the whole jungle gym, where there are multiple ways to the top and no path is clearly defined. On a ladder you can only go up, down or not move but in jungle gym, you can switch careers, take time off, and reenter careers. So that’s what I’m doing. I’m climbing around my career jungle gym and can say this is one of the best decisions of my life! Yeah, it was a little crazy, but that’s the theme of the past few months. 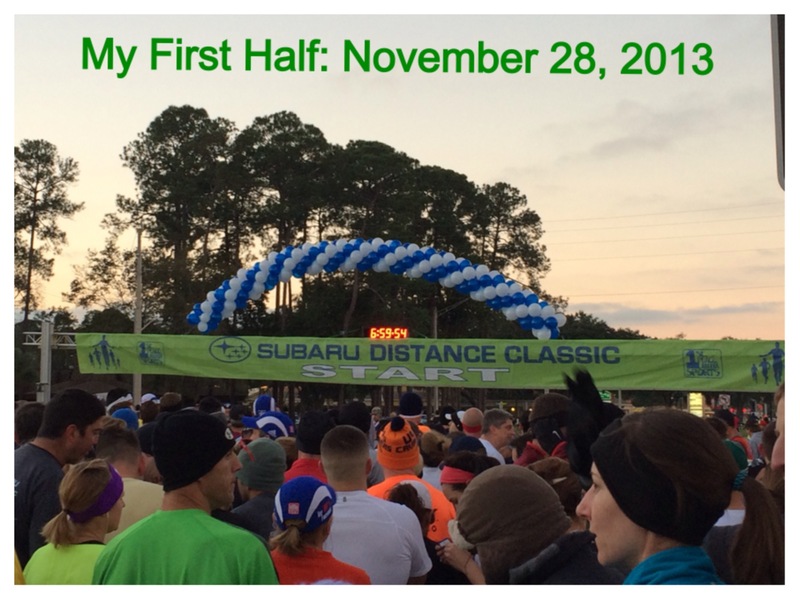 The training only consisted of 2 long runs before the half. My thought process was the shorter the training time, the less likelihood of injury before the race. Who cared about after the race at that point. So, I stuck with the schedule all but 1 day and pushed through it. 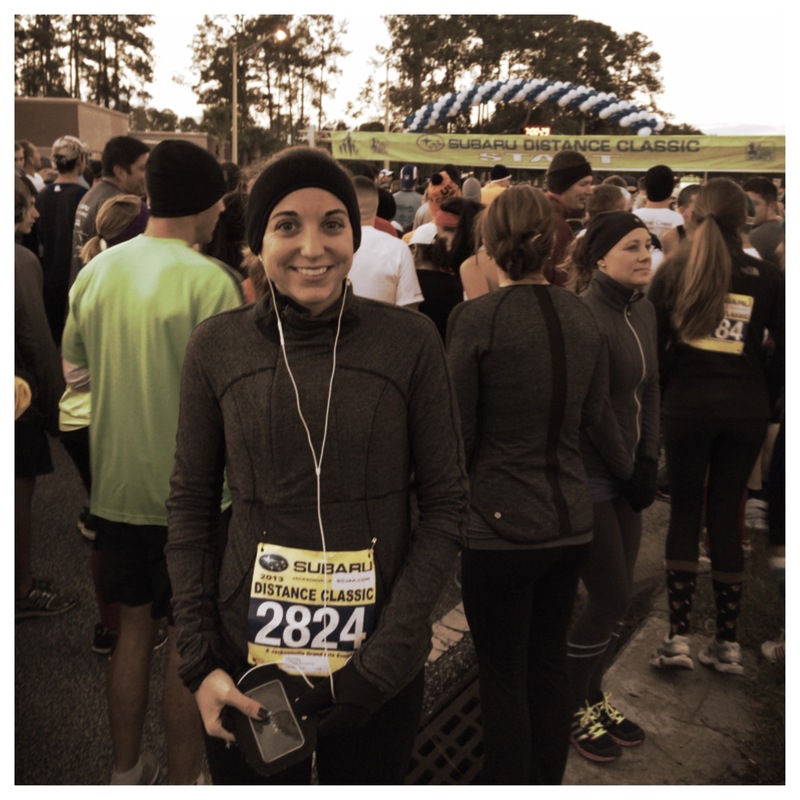 Then came race day one of the coldest Thanksgivings I can remember. I have a little pre-race regiment I’ve been doing this year and it seems to help – Odorless Garlic and Echinacea Goldenseal for immune boosts – tearing your body down during a run (or training) is brutal! 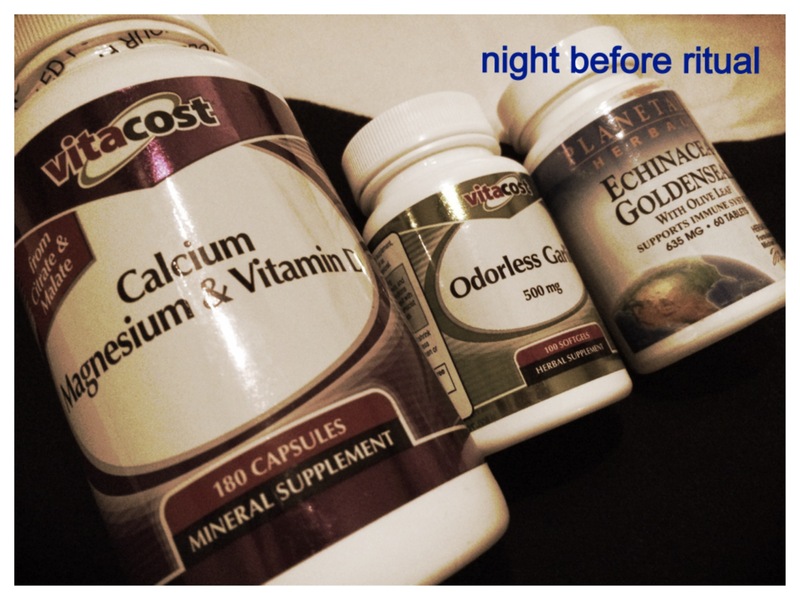 Calcium-Magnesium-Vitamin C supplement for muscle recovery – in my mind acts like Advil. Works for me! 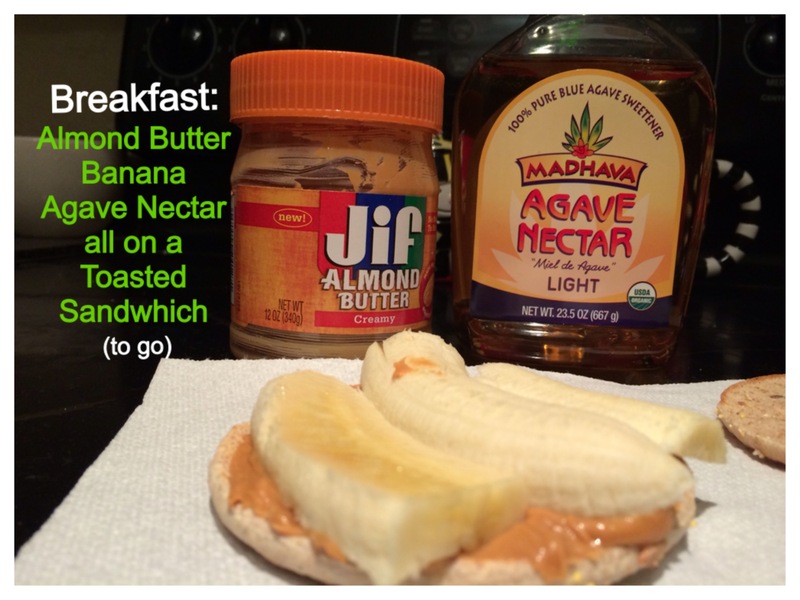 What better way to start the morning than a tasty breakfast!? 1 cup of coffee whatever it takes is also required on race day everyday. I had planned on having powergel/gu/whatevers every 30 minutes and my goal was the get done in less than 2 hours. That would be a 9 min/mile pace. 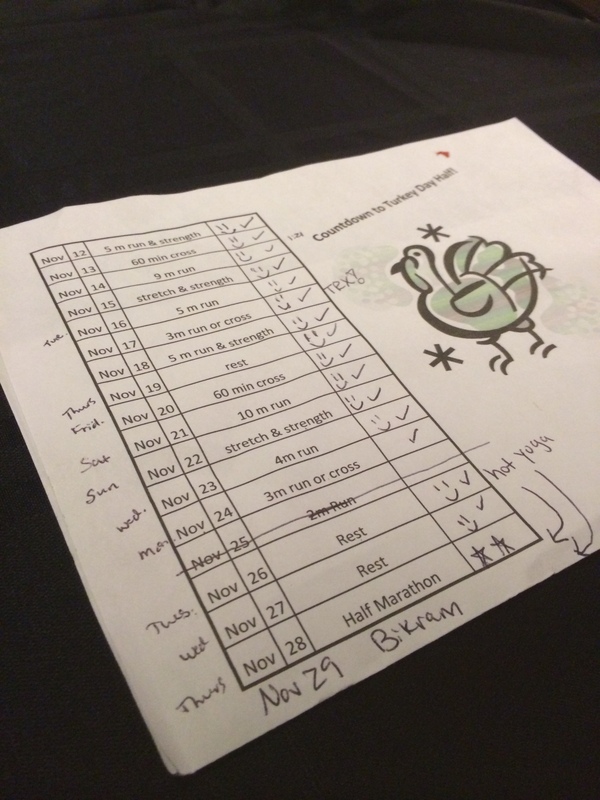 Compared to my Gate River Run time, this was not good, but it was still a stretch goal. 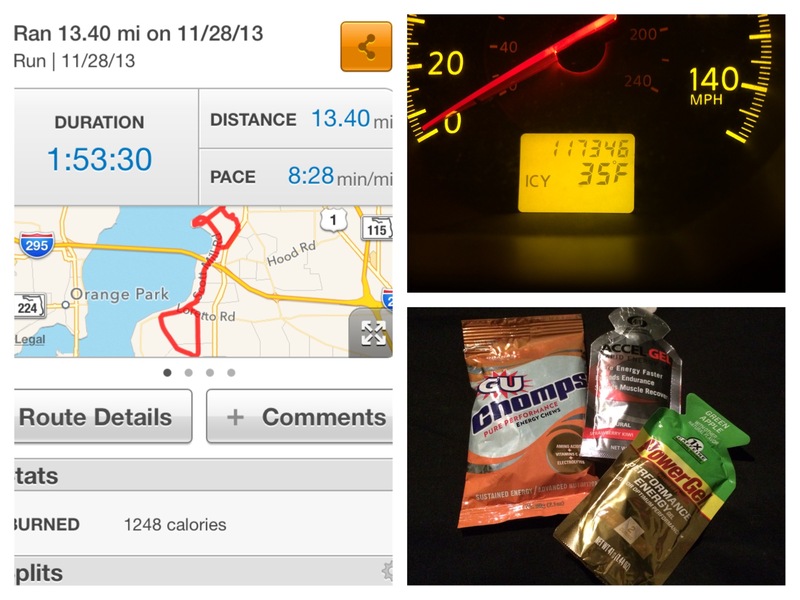 By the time I hit mile 10 I was feel the endorphins – or the powergels – and my glutes. But I felt so good I was determined to finish in under 2 hours. And guess what, I finished in 1:53!! 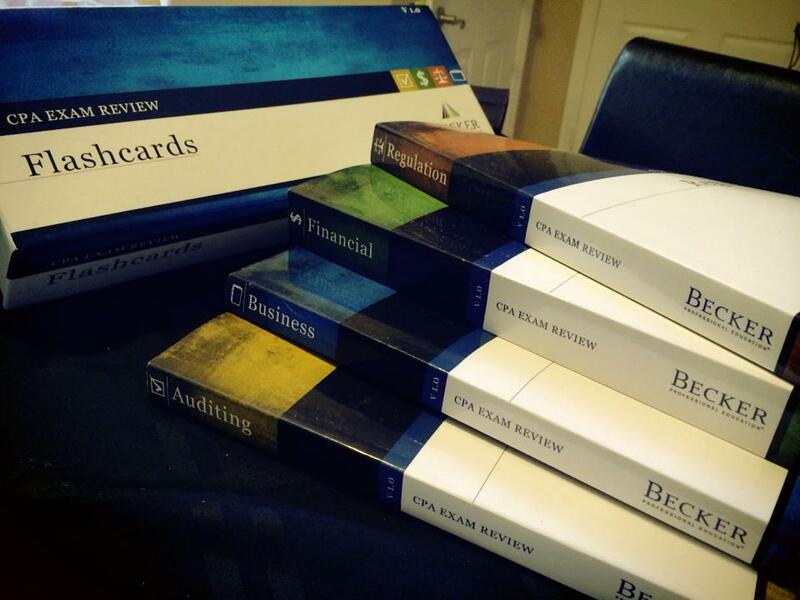 #4 Becker CPA Review – I applied to sit for my CPA exam a few months ago (I filled out the application over a year ago) but I was still hesitant of initiating the next part… studying. 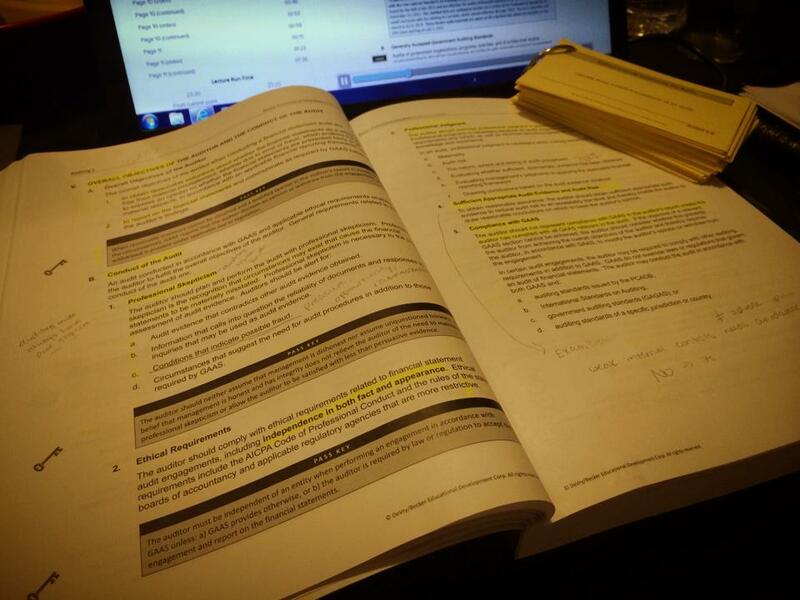 Once I had my job figured out, I knew I had all my ducks in a row to enable me to put in the grueling 30 hours/week to study. So I did it. I signed up for the Becker CPA Review. I decided the live class is for me and I am enjoying all 4 hours on Tuesdays/Thursdays each on top of the other 20+ hours of at home studying I’m doing supposed to be doing each week. My first section is Audit and my exam is currently schedule for the beginning of January! Yikes – yeah reality is starting to set in. But you know what? I’m focused. I’m focused and driven to do it. The best part is that I have full support and a cheerleading squad from work! I have some exciting posts coming up, such as Volume 2 of the 12 Days of KitchenAid (here’s last year’s posts) and other crazies as I venture through this exam and watch Emmie grow up. Just in the past few minutes she ate through another toy, got the hiccups and is now passed out right next to me 🙂 rough life for the princess. Find your passion and make a difference living it out!